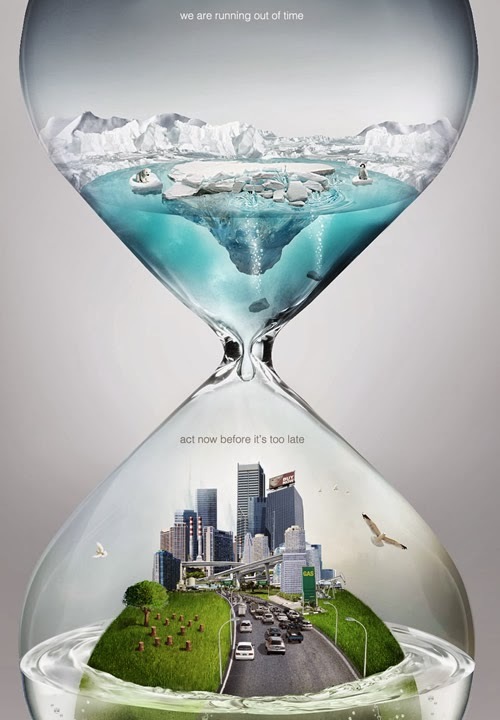 The above poster is an egg timer showing how Hong Kong are running out of time when it comes to their carbon emissions and action towards global warming. By showing the city being partially flooded, the aim is to urge people in to taking action, focusing on the concept of time. 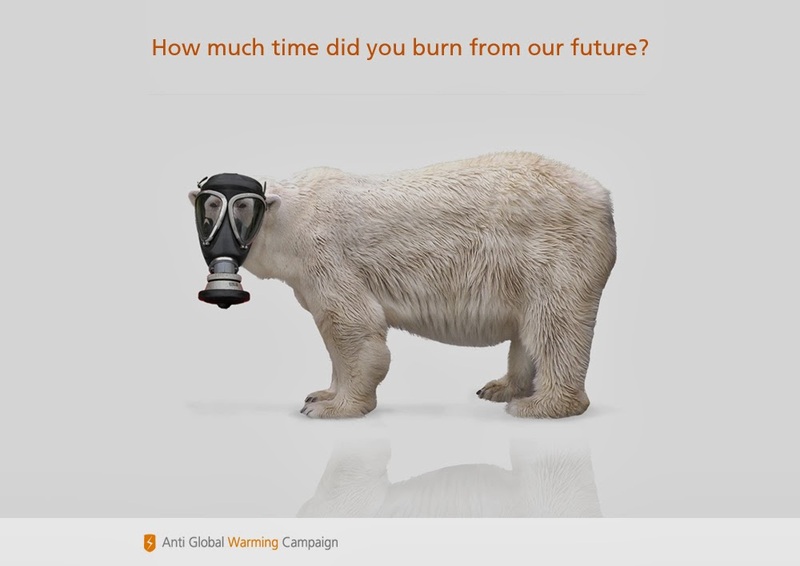 A series of posters, from the Anti Global Warming Campaign whereby animals which are effected most through global warming and climate change, are shown to be wearing gas masks, echoing the idea of pollution and increased carbon emissions and green house gases. 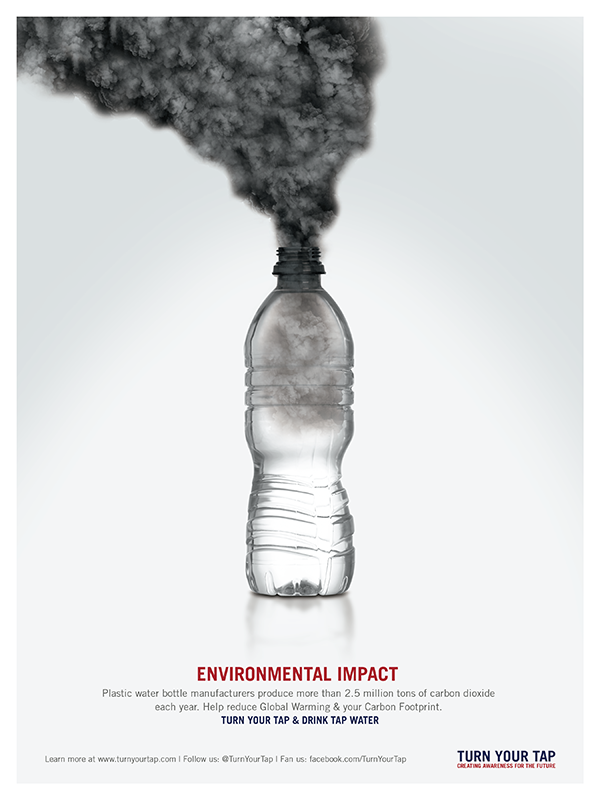 'Turn your tap' campaign focusing on facts based on manufacturing plastic bottles and the subsequent carbon emissions - 2.5million tonnes per year. It encourages drinking tap water and recycling/reusing plastic bottles opposed to buying more. 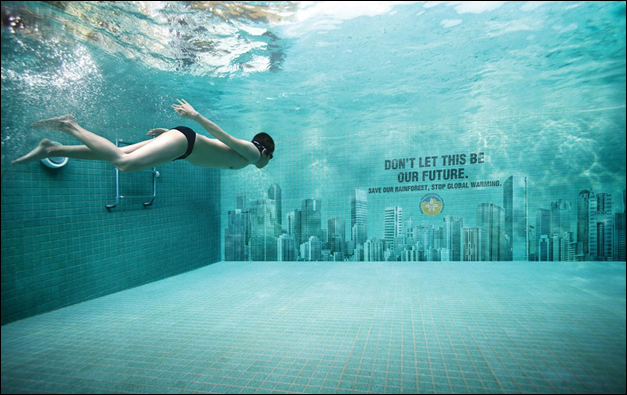 Poster reflecting an underwater city, with imagery of a silhouette in the background. The campaign focuses on saving the rainforest. Slightly confusing with the visuals chosen however visually interesting. 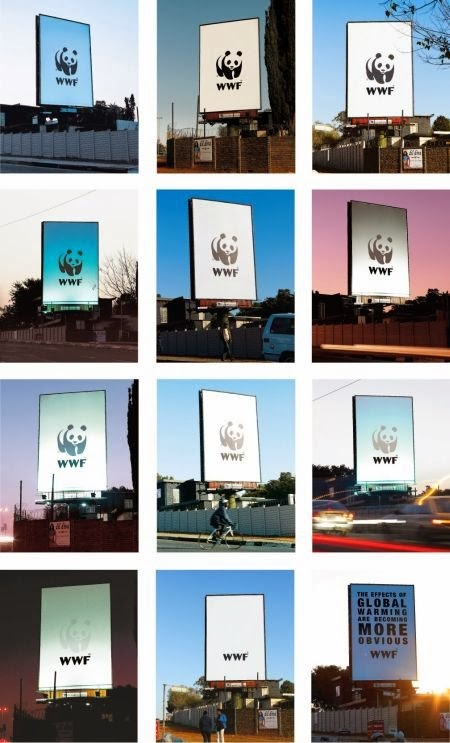 'Global warming won't go away - like fish' - relative to imagery and aesthetics as well as tag line chosen. 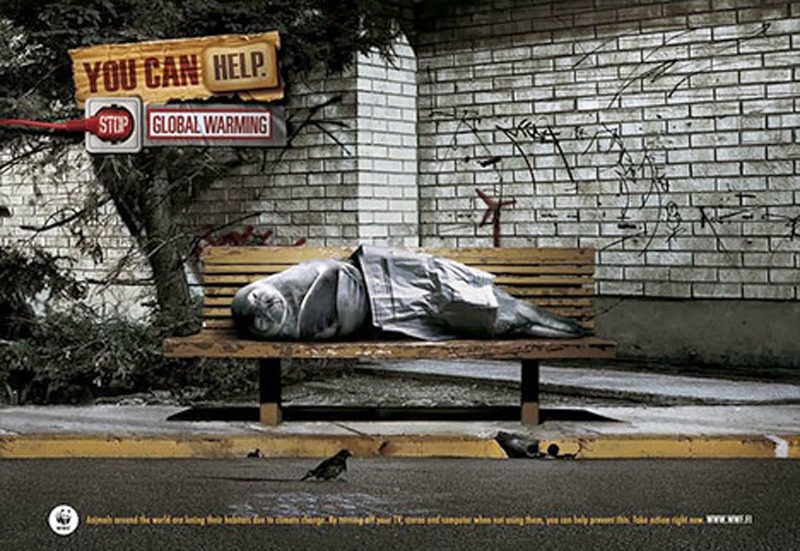 Seals sleeping on benches - homeless. A contradiction and shocking prospect. Comical with a serious undertone. 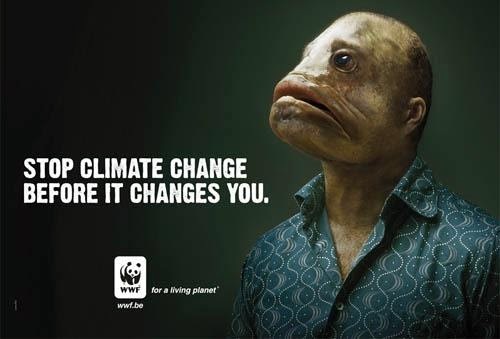 The idea of us changing into fish, due to global warming. 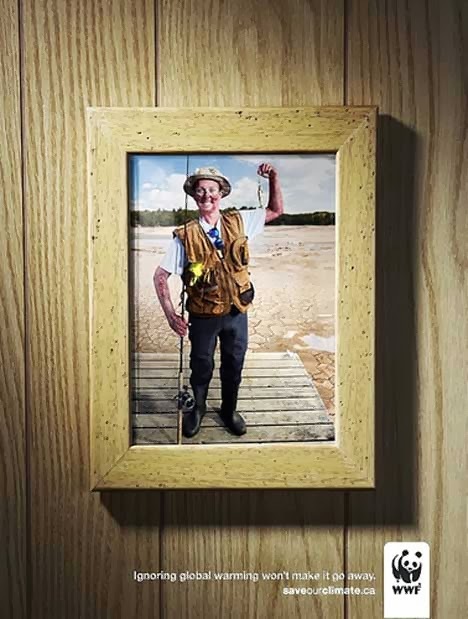 A shocking and slightly disturbing campaign. Measuring your carbon footprint campaign - Carbon Trust. Provokes interest, and the idea of individuals each contributing. Guides to further information. 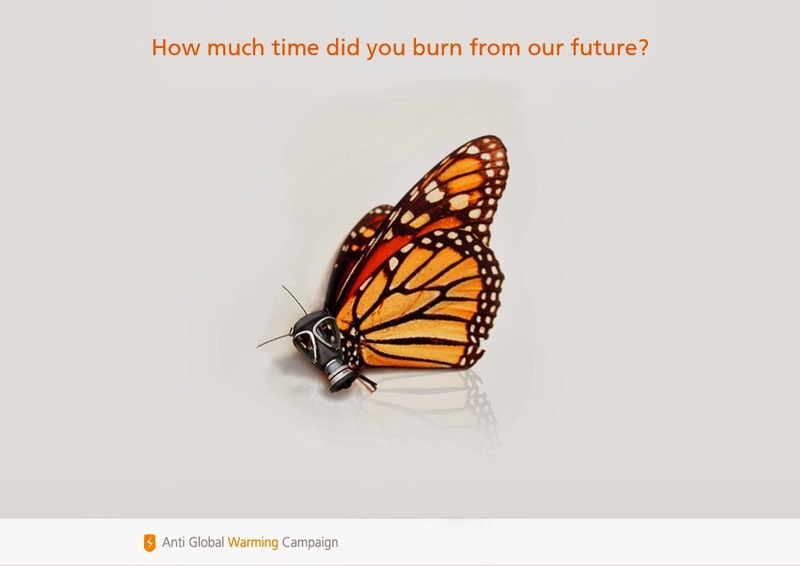 A Brighton and Hove based group who campaign against global warming with ways of being active towards the situation opposed to being negative about the problem at hand. 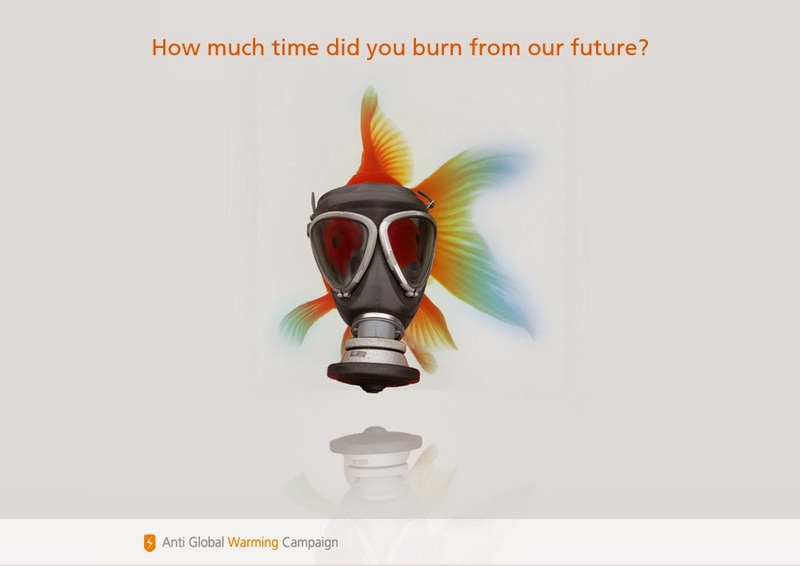 I really like the idea behind this campaign and they have been successful with their events and campaigns to date being one of the world leaders in being active towards climate change. More in depth information on their background, awards/achievements and strategies, campaigns & events can be seen below. 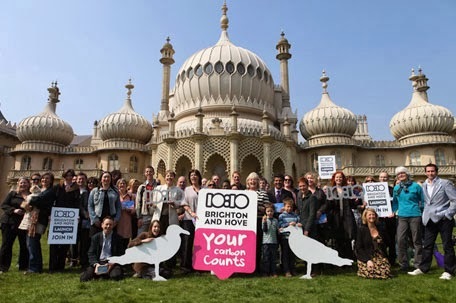 Brighton & Hove 10:10 is a city-wide community campaign that helps local people, organisations and businesses come up with innovative, positive and effective ways to tackle climate change and reduce carbon emissions. Brighton & Hove 10:10 Birthday Celebrations from 1010 Brighton & Hove onVimeo. Since it was established in 2010, the campaign has developed a network of 2,000+ supporters. It has secured a high profile within Brighton & Hove and more widely, through its links to the national 10:10 campaign. It has run business and community events and has already had a significant impact on the city’s carbon emissions and sustainable living policies, delivered through active carbon-cutting pioneer groups working peer-to-peer in seven strands: health; education; large organisations; business; third sector; communities and streets; and arts & culture.